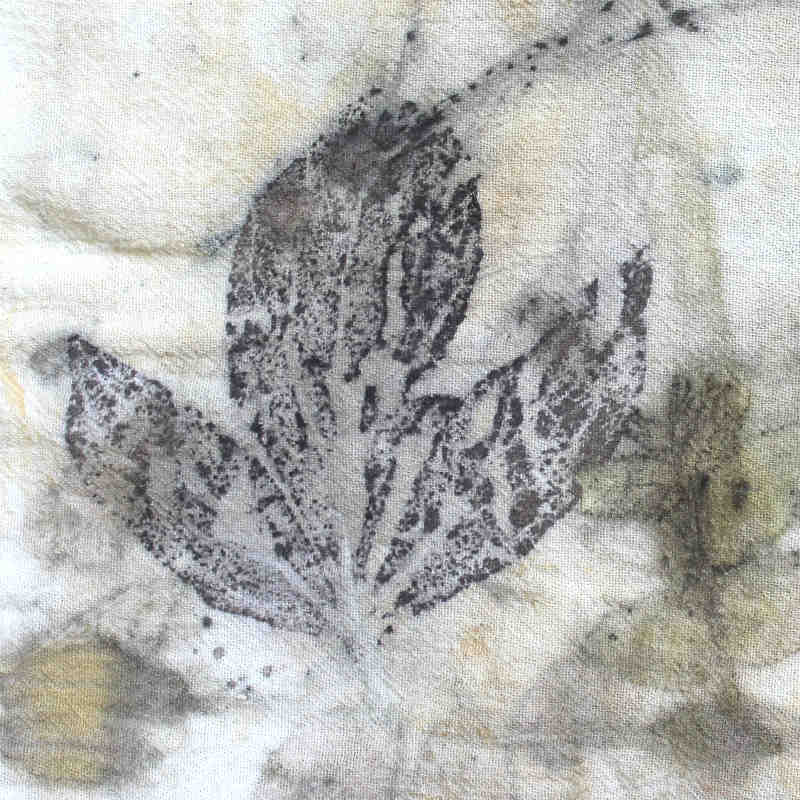 This cool natural dyeing technique goes by many different names from Eco Print and Eco Printing or Eco Dyeing. 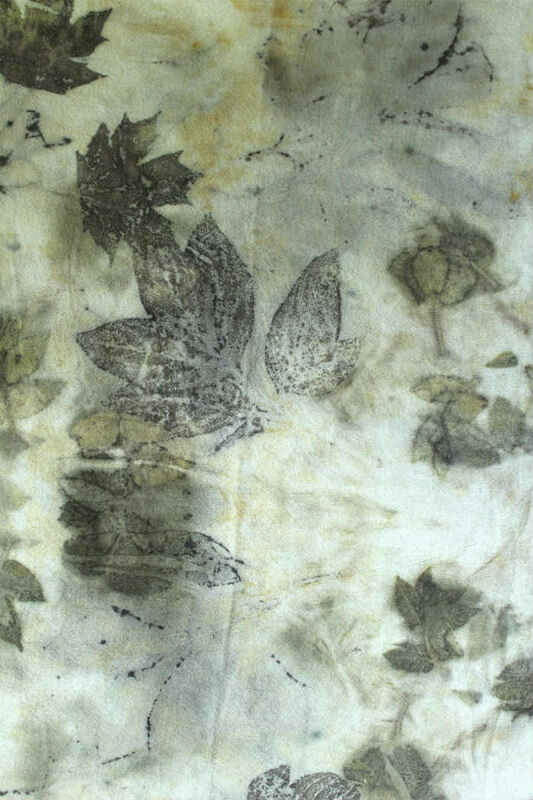 I’ll show you step by step the basic technique of Eco Printing with black walnut and maple leaves printed on silk chiffon and cotton using an iron modifier. I know, I’m late to the party but I just had to try this Eco Printing on Fabric stuff. It looks like such fun! And look out, there are printed fabrics in various stages of development all over this house. 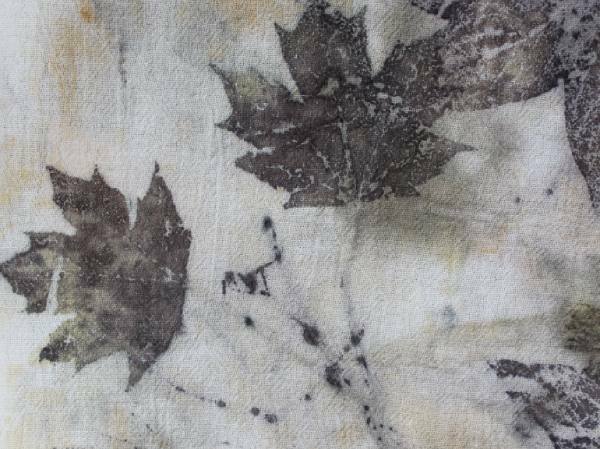 What is Eco Printing or Eco Dyeing? 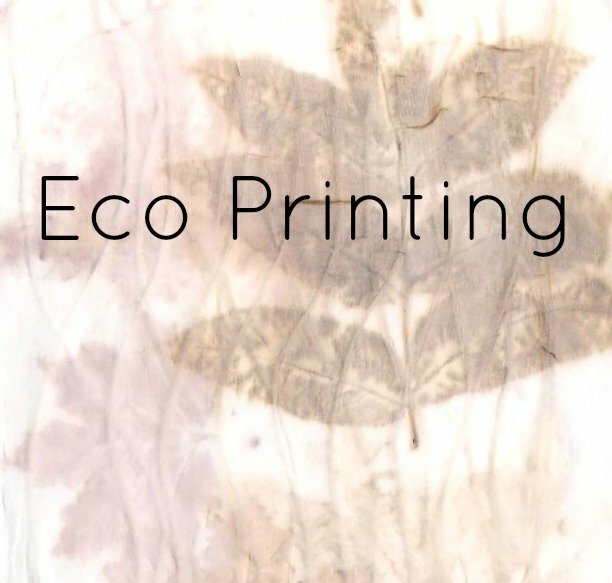 The way I understand it, Eco Printing is a form of natural dyeing where the colors from plant material are transferred to paper or fabric via steaming or boiling. (If anyone out there has a better definition, by all means let me know). SAFETY NOTE: Even tho it’s called ‘Natural Dyeing’ and ‘Eco Printing’ and ‘Eco Dyeing’, be aware that some substances used can be very toxic. Follow safety precautions by using gloves and a dust mask. 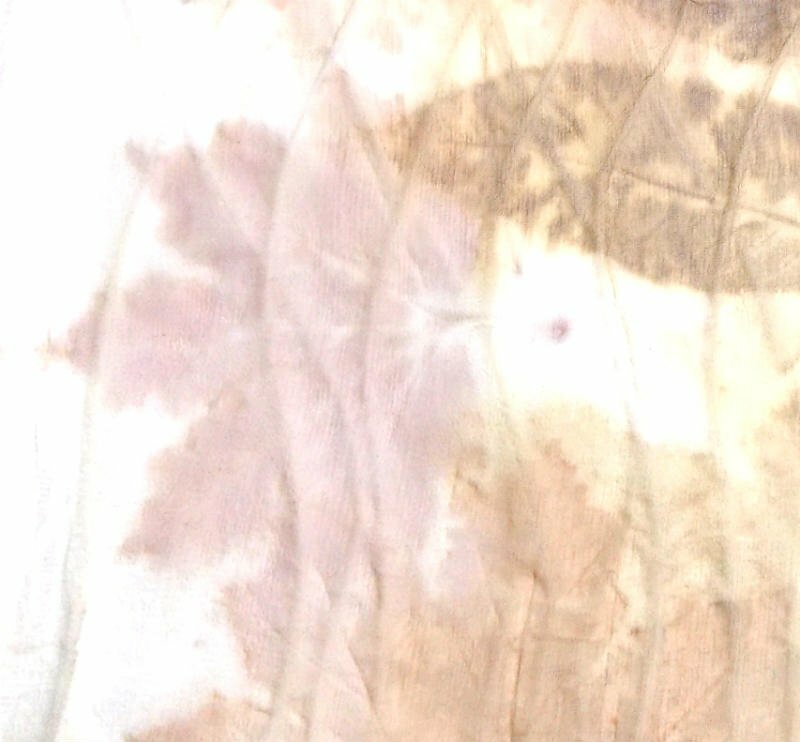 Before you try any natural dyeing methods at home, please do your homework first. Here’s a great article on various mordants. So, here’s my very first piece of Eco Printed fabric. I chose silk chiffon (only because I have plenty of it left over from nuno felting) and also because the info I’ve read says that silk does not need a mordant for eco printing. However, you can use mordants to achieve different colors and textures. 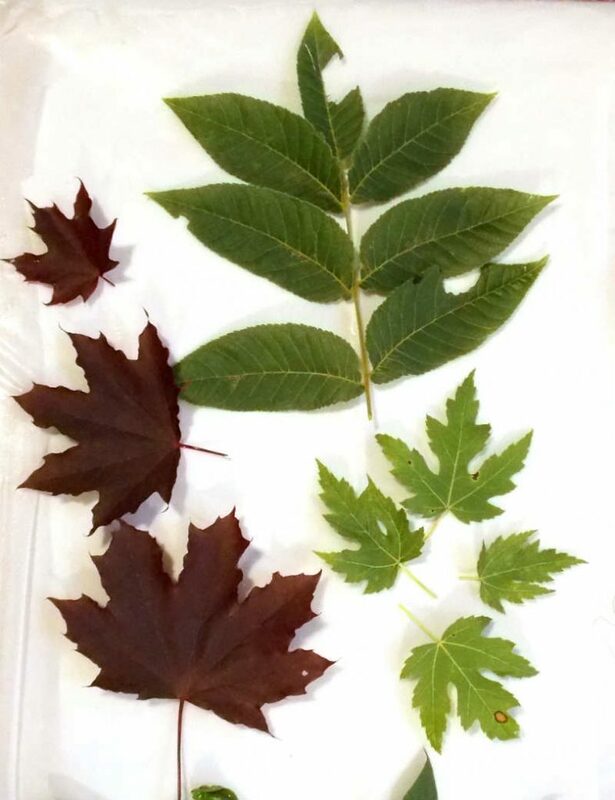 For my first eco printing experiment, I used what leaves I have available in the yard: black walnut, red maple, green maple, cleome, croton and redbud. These were laid out on half of the dry silk chiffon. 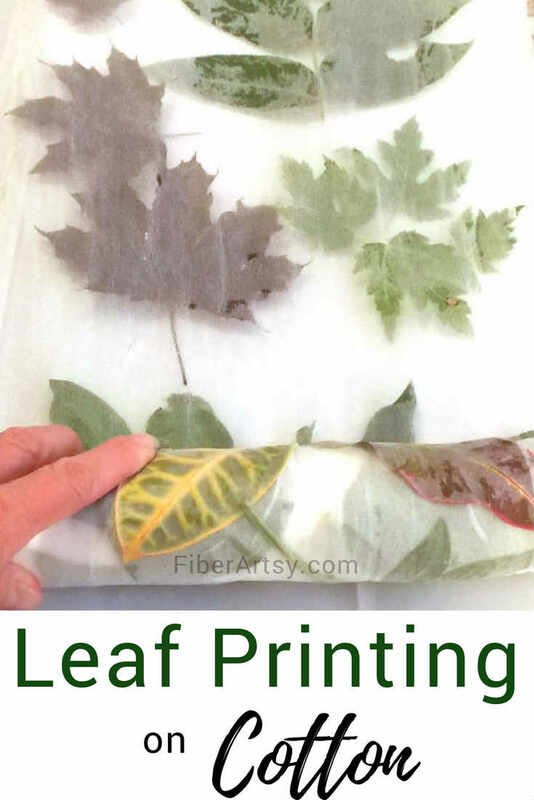 I’ve since learned that the fabric is supposed to be wet when you begin laying out the leaves. I folded the other half of the chiffon over the leaves and rolled the whole thing, very tightly onto a piece of pvc pipe. You can use a dowel, stick or even a piece of pipe for this. Note: depending on what metal the pipe is, it may act as a mordant s.a. a copper pipe which will alter the result. 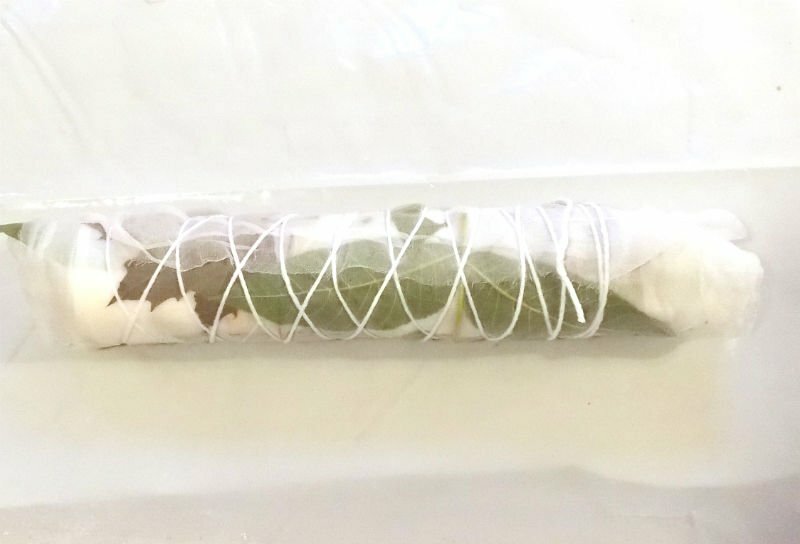 Next, I wrapped a cotton string around the package, again very tightly to make sure there is good contact between the fabric and the leaves for printing. I steamed the bundle over plain water for about 1 1/2 hours. Let this cool completely and left the bundle to set overnight. The longer the better but I don’t have the patience to wait. It’s too much fun opening it up to see what you got! 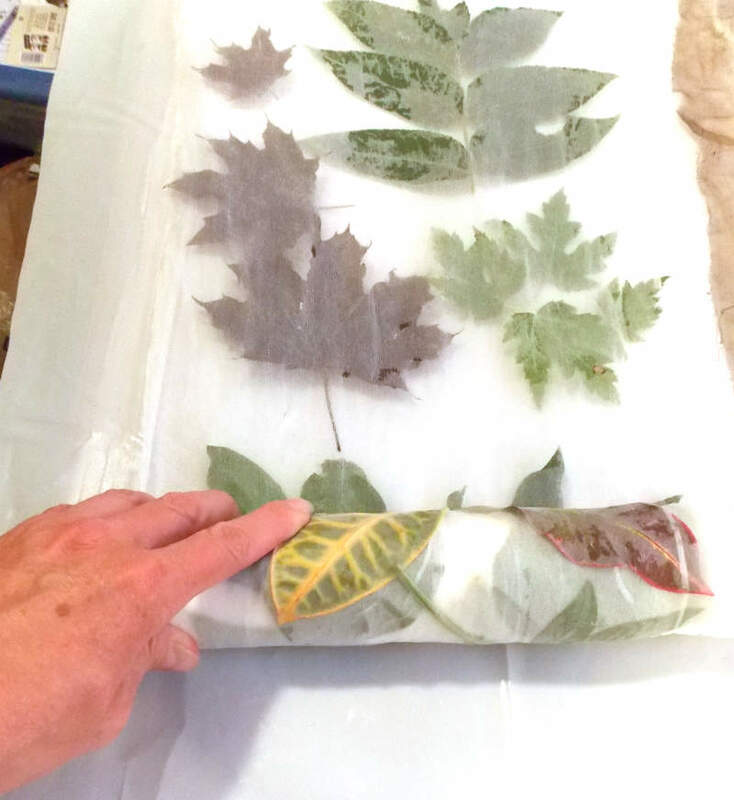 Not surprisingly, the black walnut leaves printed the best. Black walnut contains its own mordant (tannin??) and is washfast and colorfast. Here’s how I dyed some yarn with black walnuts. 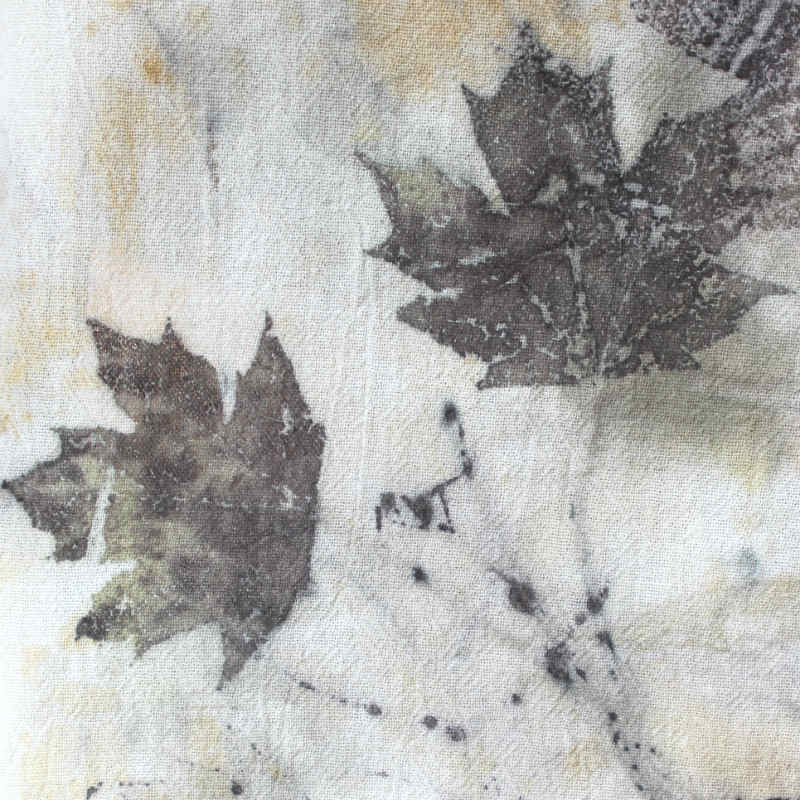 I was also very happy with the red maple leaves which left a pale but very pretty lavender/lilac colored print. 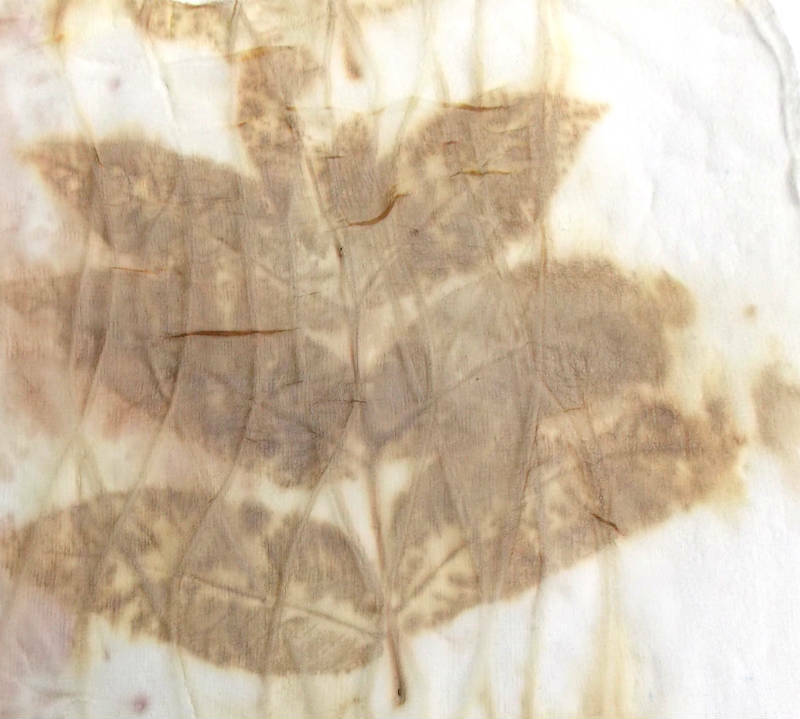 The other leaves didn’t do much, altho I did get a pale yellowish print from the redbud leaves. 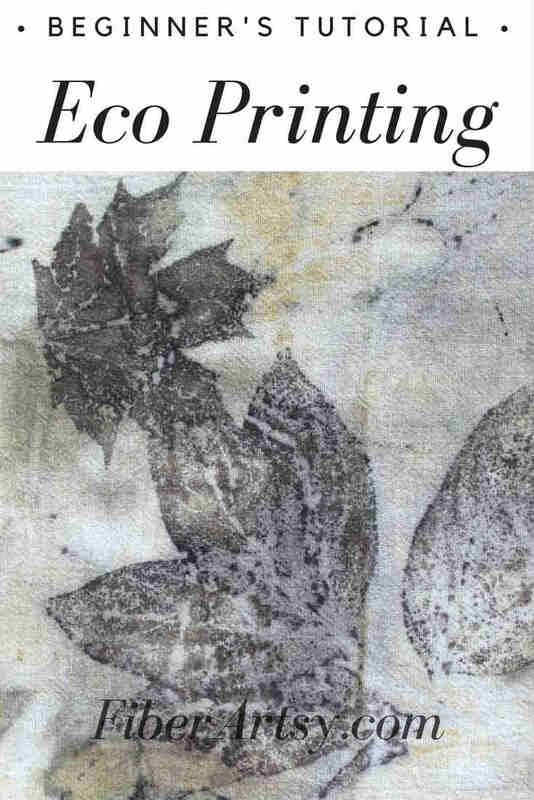 Considering this was the first attempt at eco printing on fabric, I was very happy my results. The second batch turned out much much better. There are so many wonderful websites out there with great info on eco printing but I must give a special shout out to Threadborne. 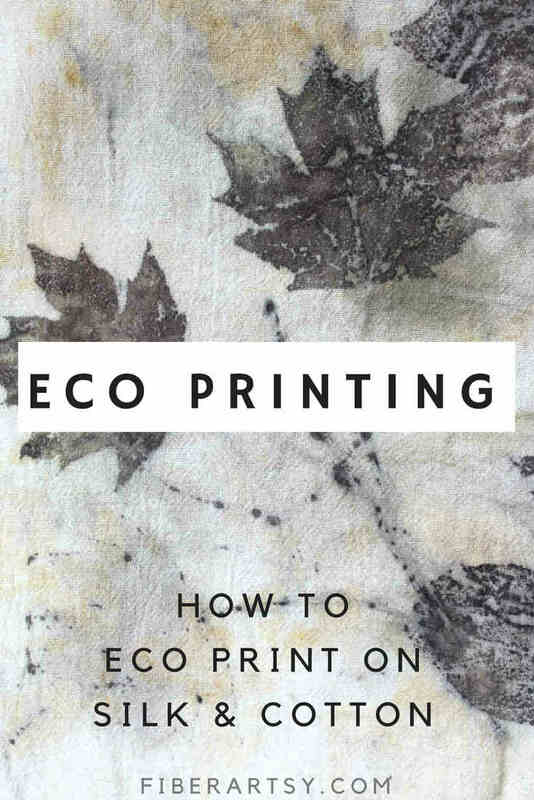 So much information there on eco printing, I think I read every word on the whole site. Instead of silk chiffon, I used cotton flour sack dish towels. FYI, those are the BEST kitchen towels ever made. I dipped the leaves in my iron modifier before laying them on the fabric. That’s really the only difference in the technique. The rest of the process was the same as above. As you can see, the resulting prints are much deeper and clearer. 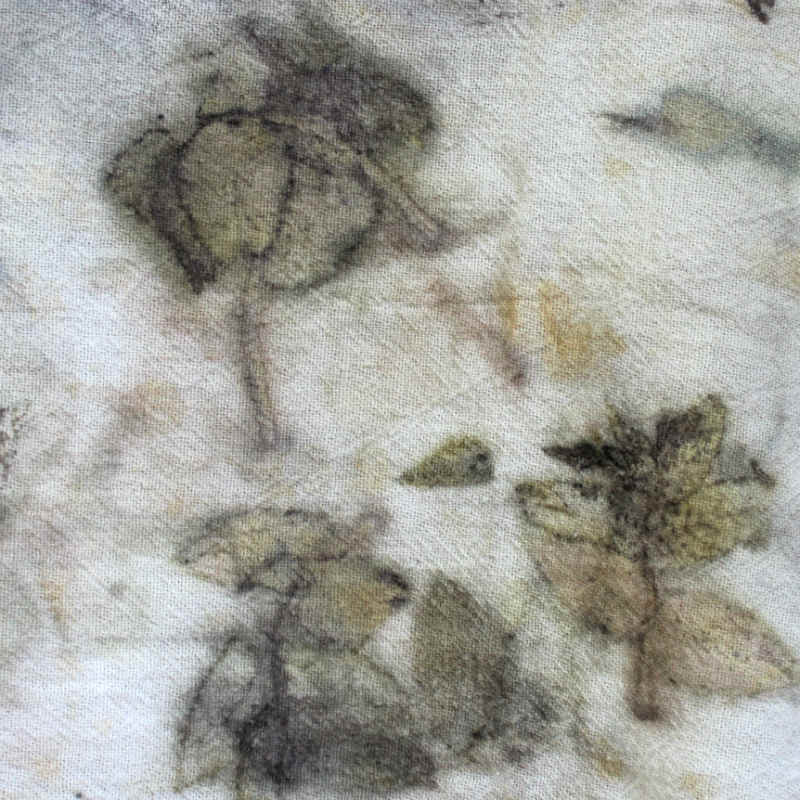 A friend recently gave me some eucalyptus leaves so that’ll be my next eco printing experiment. I’ve seen some beautiful results with those. 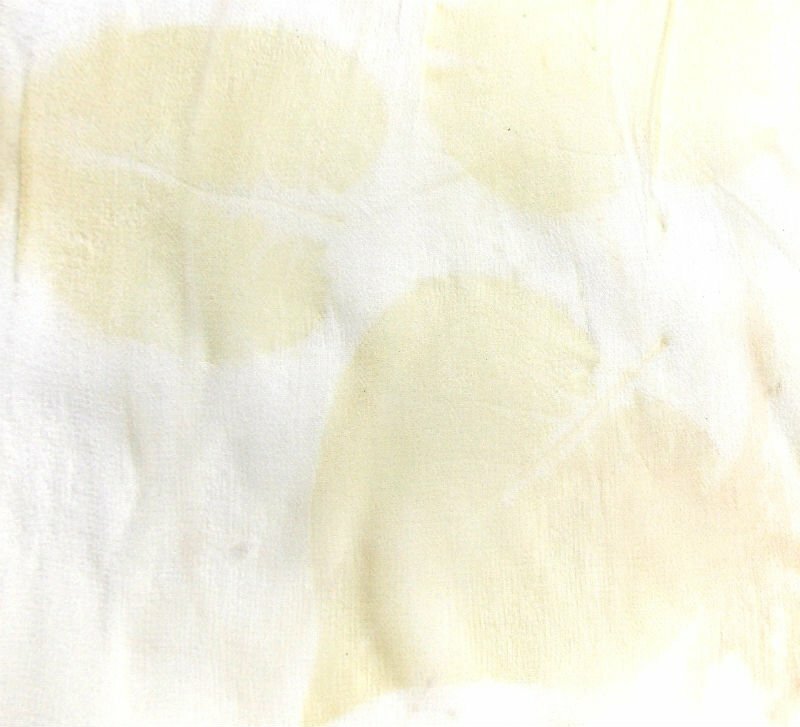 SAFETY NOTE: Even tho it’s called ‘Natural Dyeing’ and ‘Eco Printing’, beware that some substances used can be very toxic. Before you try any natural dyeing methods at home, please do your homework first! Here’s a great article on various mordants and their uses. Gather up a bunch of rusty hardware such as nails, screws, washers, nuts and bolts. Fill a mason jar with 1 part white vinegar and 2 parts water. Add the hardware. Lightly close the jar with the lid (don’t screw it on very tight). Let this sit for about 2 weeks and your modifier is ready to use.